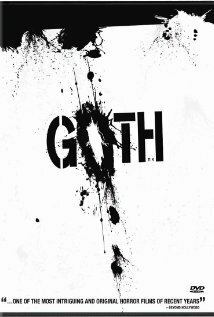 Buy or Rent Goth (2008) Movie DVD & BluRay Online! Movie Plot: Morino (Rin Takanashi) and Kamiyama (Kanata Hongo K-20: Legend of the Mask) share an odd fascination with human cruelty and murder. Kamiyama knew they would share a connection as soon as he noticed a cut mark on her wrist. Together they track a brutal serial killer in an attempt to find the latest two victims; not necessarily to help bring the killer to justice, but simply for their own morbid need to inspect his or her handiwork. Who is the real victim or killer in this bizarre tale of love and death?